Lambert & Fils: Made in Montréal spirit. 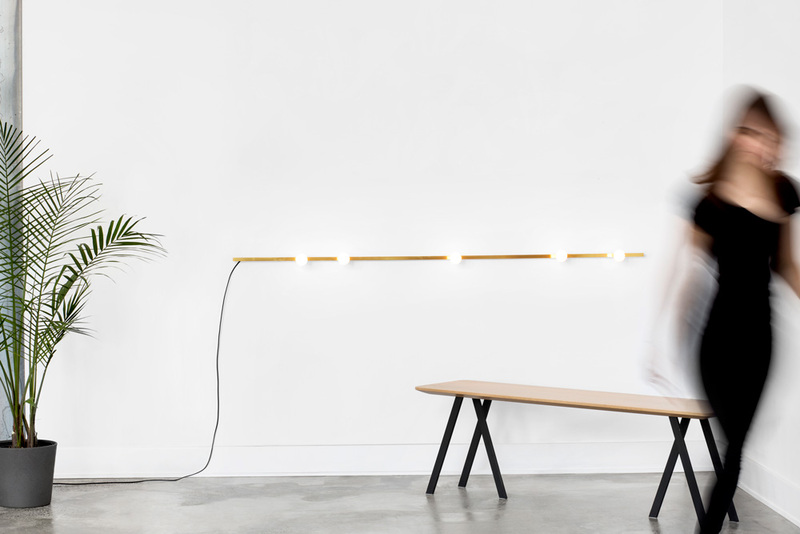 Based in Montreal, Lambert & Fils is a collaborative lighting design studio founded in 2010 by Samuel Lambert. After a career in the visual arts and film editing, Samuel Lambert chose design and crafstmanship soon after the birth of his son, as a sort of nod to his own childhood spent in the Eastern Townships of Quebec, where he often assisted his own father, a potter –a full-circle moment for Lambert, which also explains the company’s name (in French, Lambert & Fils means Lambert & Sons). After working alone for a while in his small Beaubien street shop in Montreal, Samuel Lambert succeeded over the course of a few years to mold a creative yet rigorous studio, alongside a diversified team of young talents. Now employing forty people, including designers, administrators, assemblers and team leaders, Lambert & Fils is able to tackle ambitious projects, both on the residential and commercial fronts, such as the Hôtel Bachaumont in Paris, the Hollander Hotel in Chicago, the Kampaï restaurant and the Bibliothèque et Archives Nationales du Québec, both in Montréal. We felt it was a great opportunity to show our lights in a domestic setting curated by talented designers. We also believe it is a nice juxtaposition to our presence at Euroluce. Lambert & Fils has a wide scope of inspirations ranging from nature, to sculpture, to manufacturing processes. We always strive to create harmonious lighting, in which apparent simplicity is achieved through meticulous design. We feel our participation in The Visit represents our high standard of quality and our warm yet contemporary aesthetic. At Lambert & Fils we make beautifully designed objects by means of thorough craftsmanship. 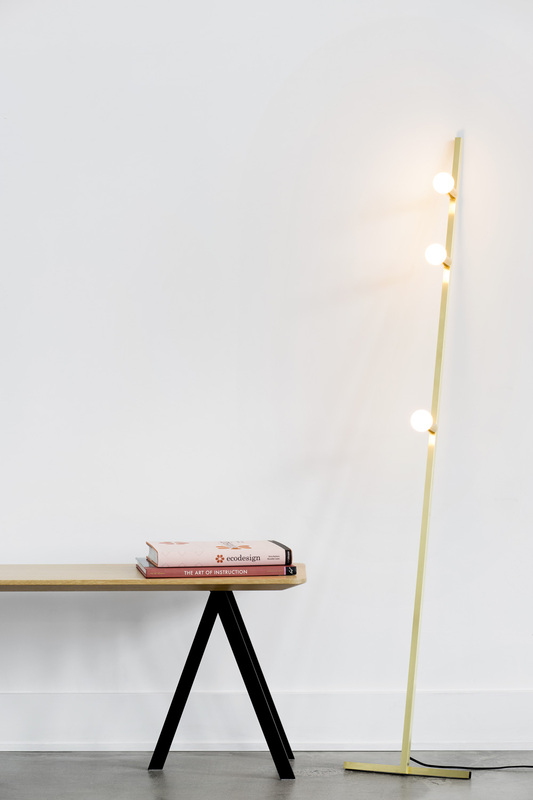 Lambert & Fils draws inspiration from art, design and architecture to create sleek yet poetic lights, where apparent simplicity mingles with design complexity. The company commits itself to a tradition of high-quality in-house design, Montreal local savoir-faire and strong collaborative team spirit. In keeping with its foundations, Lambert & Fils Studio drew from the past to create Laurent, its most contemporary collection to date. The initial inspiration was Marianne Brandt’s classic milk globe, designed at the Bauhaus. The Laurent collection distills milk globe to its essential relationship between circle and sphere. A series of thin forms compliment the Laurent globes – forms that carve through space moving between line, surface, and volume. These forms combine in endless patterns, making it possible for art installation of Laurent lamps to inhabit any space with subtlety and quiet strength. The minimalism of the dot line wall creates a bold, yet understated presence. The Dot Collection combines the directness of exposed, spherical bulbs with the rich materiality of brass. Focused, geometric compositions contain these two features, balancing line, surface, and luminous points. 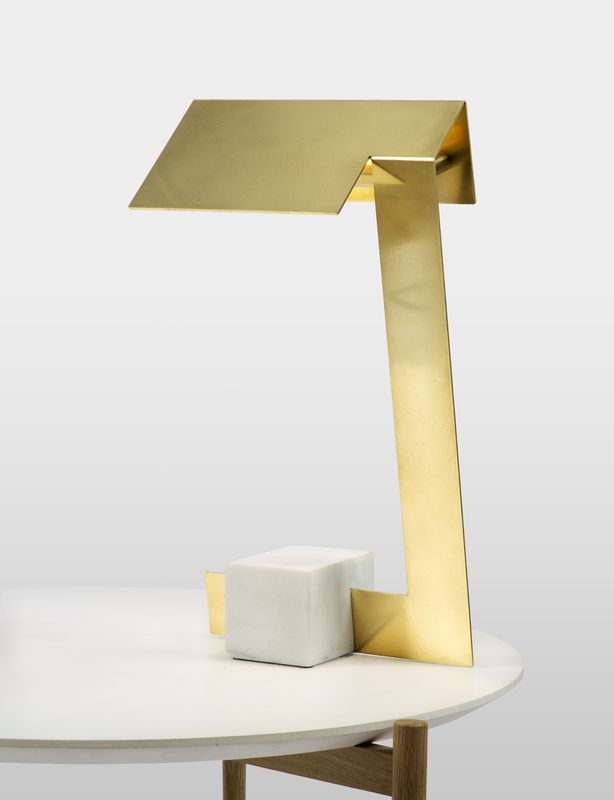 The result is a collection of lamps based in the reflectivity of brass – lamps that are both atmospheric and firm. 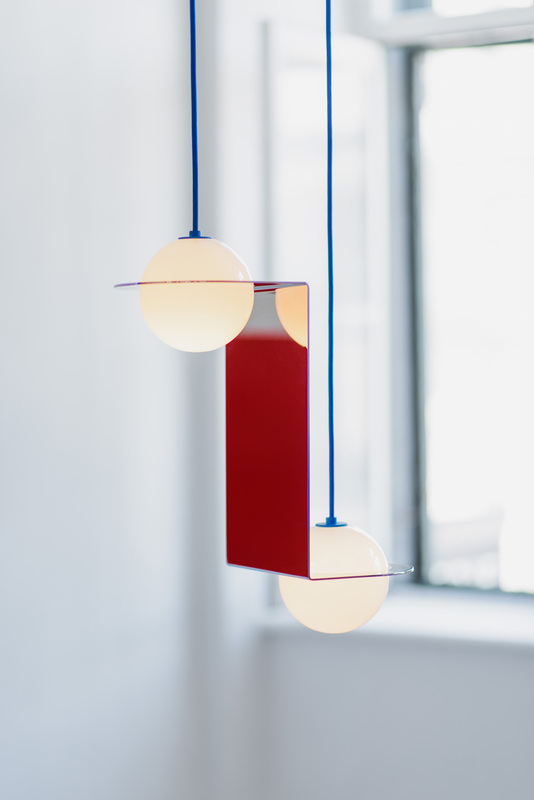 In the dot line floor, Lambert & Fils shows that a lamp can be both delicate and playful. The Atomium is Lambert & Fils contemporary interpretation of a classic chandelier. The Clark Collection pushes the limits of form without sacrificing functionality. Cut and bent metal pieces create shades that both block and reflect the lamps light source, casting an even wash of light on any surface. Marble is used not only to anchor the lamps, but to provide a contemporary touch to the surrounding environment. The rich materials and subtle use of angles in these lamps seamlessly blend elegance and playfulness. The Beaubien Collection’s strong black lines bend in and out space, moving effortlessly between simplicity and ornamentation. 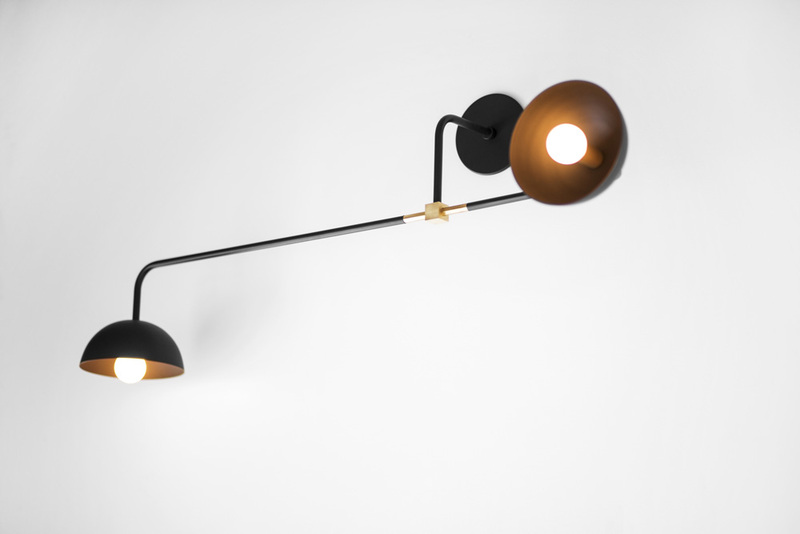 Round and cubic brass connectors complete the lamps’ structures and add a rich material contrast to the powder coated rods. The collection’s industrial and graphic aesthetic is imbued with a palette of influences, from traditional Chinese screens to the Memphis movement. Each influence strengthens the collection, creating nuance within its timeless character.